to name but a few. The world around us can look very different depending on the critical theory applied to it. This vast range of interpretations can leave one feeling confused and frustrated. 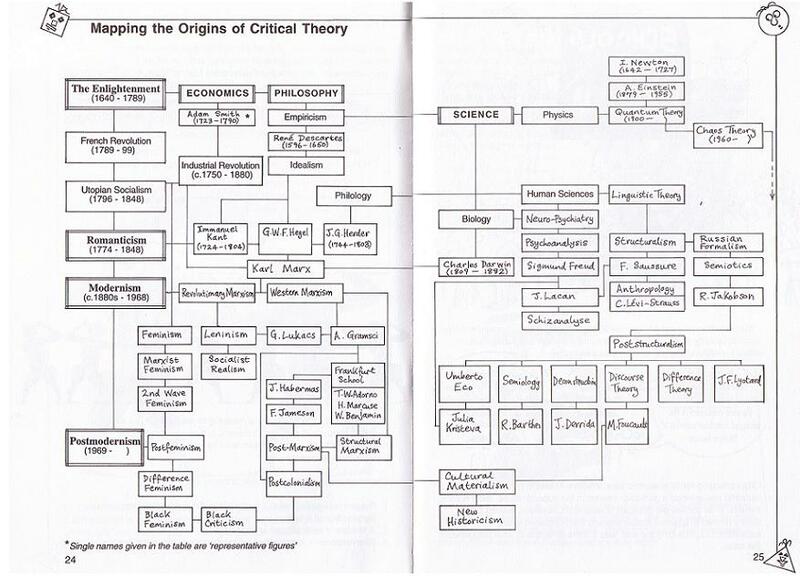 Introducing Critical Theory provides a route through the tangled jungle of competing theories. It provides a context for these recent developments by situating them within the longer-term tradition of critical analysis going back to the rise of Marxism. The essential methods of each theoretical school are presented in an incisive and accessible manner. Special attention is paid to recurrent themes and concerns that have preoccupied a century of critical activity. Excellent beginners book, puts things into place and creates the links between each thinker. Trying to read Habermas, Lacan, or even Derrida is like having a root canal. As a novice, I found almost without exception, the literature written by these prime movers of critical theory, just short of impenetrable. This little book, on the other hand, while presenting its own special problems (there is no logic to its layout for instance) does provide a hook for understanding, for people like myself. I now have a reasonable good lay of the land. So that when I return to the leading writers of the movement, I will at least then have a fighting chance. In short, this book provides a crude index, that while not quite a conceptual map of where the various islands of theoretical development lie (and where each of the prime movers sit in the scheme of things), does give us a meandering trip through the major historical developments hitting the major signposts in a meaningful if not in an always coherent way. As for overall logic, critical theory, at its deepest level appears to be a general theory of the use of symbols in the generation of meaning and knowledge. It is a theory that has come about in a "backward propagation" sort of way: that is to say, by observing the texts of literature and subtext of culture and social organization, and how the various levels "actually work" and then deconstructing the cultural messages sent and received by the meaning of these text (and subtexts)-- or said in the vernacular of the theorists themselves: by "reading the texts back against themselves." Marx and Freud figure prominently in the development of Critical Theory as their respective theories were concerned primarily with the subtext of meanings: Marx's was concerned primarily with the subtext of economics: the class struggle between the exploiters of labor and those exploited; while Freud spent most of his time developing a theoretical map of the "unconscious, arguably responsible for most of our conscious behavior. In both cases the "unseen" or what is below the waterline accounts for the lion's share of what happens above water in conscious "reality." Culture and politics are also areas in which the subtext dominates from "off stage." One take away message from the book is that reading the subtext of culture, politics and economics is not just the heaviest clue as to where critical theory comes from, but also to where it is headed. It is very much analogous in its approach to theoretical developments in abstract mathematics, where pre-mathematical entities such as transformations and maps have their own deeper logic and are introduced and understood well before any concrete entities such as numbers are ever introduced. The same is true of Critical Theory. Mining the subtext, the "unconscious," the unseen moving hand in economics," etc. is not just the main clue but also the main heuristic for pushing forward both literary and philosophical theories of meaning. The unseen, the subtext, provides the grist for the criticism mill, as well as keeps pointing forward to a more general theory of the philosophy of knowledge and meaning. Like in quantum physics, things become a bit untidy as one comes closer to the limits, and Literary Criticism itself, at that point becomes just a side issue (an afterthought) compared to the fuller philosophical and logical implications of critical theory as a whole. Too often an out of the blue comment was made without a reference to from either a previous introducing topic or a new topic that one could use as a base to understand the "out of the blue" new comment. This book, part of a series (basically "Philosophy for dummies") will be purchased by stressed-out college students trying to write term papers for literature class. After getting totally confused by the impenetrable writing of the great theorists themselves, students will turn to this book hoping to get some light. The book gives a decent overview of the major theories, trying to put them in common language, something the theorists themselves seem incapable of writing in. It goes so far as to use cartoons to get the points across. While it will help sort out Deconstruction from Formalism and so on, don't count on this to save your term paper the night before its due. There's not enough detail on any of the theories to stand alone, and they are presented in a strange order. Also, some of the major schools of criticism (like New Criticism) don't appear. The author is obviously quite fond of Marxism. Unfortunately, the author also slides into some of the same kind of mumbo-jumbo as the original theorists themselves. The idea is still a great one, however. If you read this, then some of the more specific books that follow (Introducing Lacan, Derrida, etc) it may help get you started. One of my most memorable introductions to literature in my youth was the Classic Comics series. As it turns out, I was not alone in this - many adults have confirmed that they too developed an initial appreciation of the world's literary heritage by way of first exposure through Classic Comics. The idea was such a good one that two groups, one in the United Kingdom and the other in the United States have used the same technique to create and publish series of "documentary classic comics", overviews of ideas and people that summarize conceptual basics by combining caricature and text. This technique is a "multimedia" approach to presenting material - by engaging two sensory modalities, and displaying wit and humour as well as insight, the content is far more readily absorbed AND remembered. Off to read English Literature at University? As the beginning of the first university term of the academic year is fast approaching, it seemed a good moment to blog about these nifty little tomes. Publishers Icon have a series of 'Introducing ...' guides which make an excellent starting point for getting your head around literary theory as an undergraduate. They are graphic guides not unlike the '...for beginners' series and as such provide a visual representation of the complexities of theory. I have been sent three to review, Critical Theory, Foucault and Freud, but there is an enormous range of use to anyone wrestling with literary or cultural theory including Postmodernism, Derrida, Marxism etc. Literary theory can be such a shock to the system: after A levels enjoying Shakespeare or Jane Austen, the convoluted dryness of this kind of non-fiction can seem contrary to what drew you to study literature in the first place. Literary or cultural theory is complex and nothing is going to make it simple, but these guides provide another way into the subject, another means of contriving hooks on which to hang all the new information with which you are bombarding your brain. ... I also found Introducing Critical Theory: A Graphic Guide excellent as a refresher having not read much theory over the last few years. It is a neat reference book having a good glossary and a rather shorter index which gets you to the heart of each concept very quickly. As such I would have been glad of it as I embarked on my MA too.